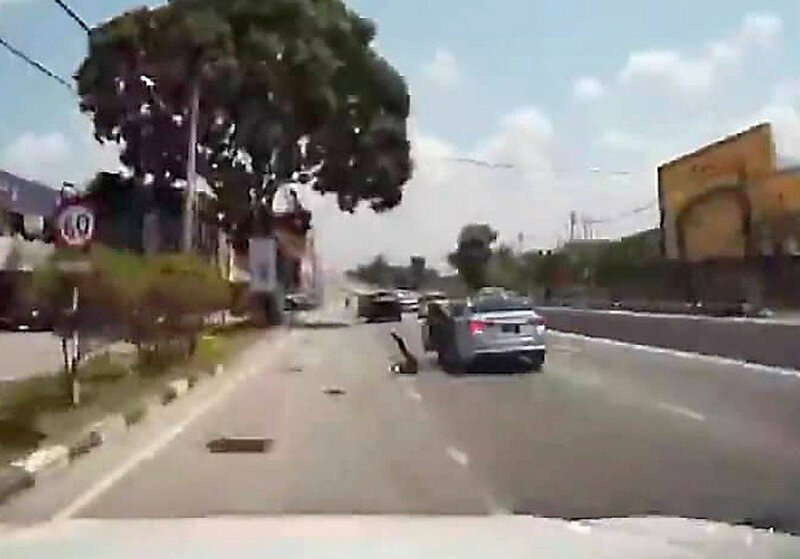 BANTING: Police are asking for help to shed light into an incident where a man fell out of a moving car at Jalan Sultan Abdul Samad, here, on Thursday. They urged the driver of the vehicle and witnesses of the incident to come forward and assist investigation. An 11-second clip, showing a man in the front passenger seat falling out of the moving car, went viral on social media since Friday. The clip, taken from a dashboard camera of another car, also showed the vehicle speeding away, leaving the injured victim by the roadside. Kuala Langat police chief Superintendent Azizan Tukiman said the victim, identified as Lim Hock Lai, 35, sustained serious injuries from the fall and currently undergoing treatment at Tengku Ampuan Rahimah Hospital in Klang. "The victim's brother told police he received a call from Banting Hospital about his brother's condition at 1pm on Friday. He was told that Lim was unconscious and being treated at the emergency unit. "At the time, he also received the video clip that featured the victim falling out of the moving car." Azizan said when asked, the victim's brother said he was not familiar with the vehicle. "We are still investigating the motive of the incident and urged the vehicle driver and witnesses to help us by coming forward." He said the case is being investigated under Section 338 of the Penal Code for causing hurt by an act which endangers life or the personal safety of others. Those with information should contact the Kuala Langat police station at 03-31872222 to facilitate the investigation.